Time Life's SONGS 4 WORSHIP series is taking the world by storm, selling millions of copies and topping the charts. With Christmas almost here, take home this beautiful double CD collection of 21 of your favourite Christmas songs. 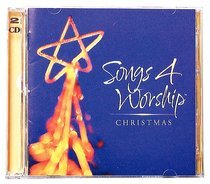 About "Songs 4 Worship Christmas (Songs 4 Worship Series)"